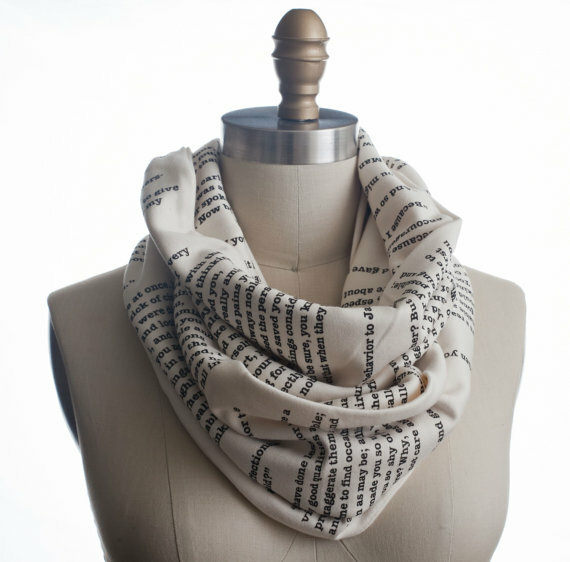 If you love books but don’t want to commit to one particular title, I can think of nothing better to wear to a library study session. Some days you may want to wear your favorite story on your sleeve, but for now, this is a good way to keep the mystery alive. While the print may not be “literature” (it’s taken from Wikipedia), it’s the closest I’ll ever get to tattooing my favorite author’s words on my skin. 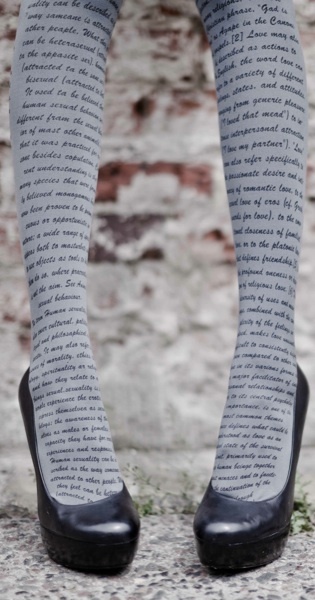 Perusing The Word Made Flesh (link: http://tattoolit.com) is great fun, but I like the versatility of these tights. That title was a joke. If I ever dropped $100 (well, more than that, because shipping) on a dress this amazing, you can bet I wouldn’t wear it in a situation where someone could spill beer on it. But, I never have to worry about that because I don’t think I’ll ever have enough money to drop $100 on a “Lord of the Rings” dress. This does not underscore the fact that it is stunning. It’s not even the only LOTR-themed clothing offered by this company. If you dare, you can find the most ridiculous Legolas-print one-piece you’ve ever laid eyes on, because it’s probably the only one in existence. 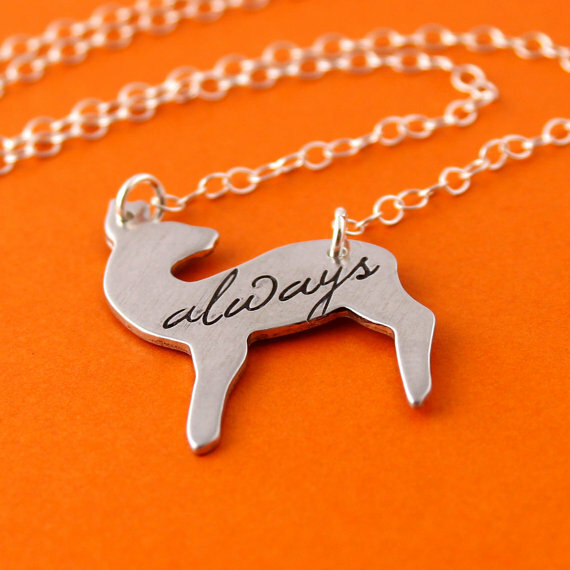 If you love Harry Potter and creative Etsy accessories, you’ll find plenty of its company online. As much as I adore the Time-Turner earrings and golden egg pendants available on the official Warner Bros. site, there’s something charming about understated jewelry and the ability to get through the day without confronting too many confused expressions. I know I’ll be reading better books and more accomplished works of fiction as life goes on, but I also know that this will remain one of my favorite literary quotes until the very end. Learn more about Banned Books Week at www.bannedbooksweek.org.